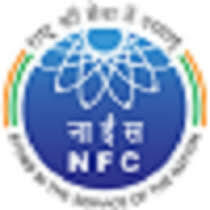 Duty) in Nuclear Fuel Complex, Hyderabad and Zirconium Complex, Pazhayakayal, Tuticorin District, Tamil Nadu, Industrial Establishments under the Department of Atomic Energy, Government of India. Experienced and skilled medical professionals are suggested to send filled application form to right address latest by dead line. Energetic and eligible applicants can download application form by visiting official site of Institute right now. Recruited applicants will receive per month. Required skills having applicants are most welcome for these openings. In the selection round there should be all connected documents with full confidence. Applying method with other highlights for NFC Hyderabad Recruitment is declared for all the visitors of this web page in under shown section. Capable aspirants must send resume/ application to the below given address to on or before 12th January 2018. Hey friends try hard to get this chance of job. More possible jobs in Hyderabad will be offered for all candidates who will visit the official website of NFC that is nfc.gov.in. All applicants looking for this chance of job should show initiative so that they may be appointing easily. All the best! Salary Scale: Appointed participants will get Rs. 56,100/- (Cell No. 1 in Level 10 of Pay Matrix) Plus NPA (20% of Basic Pay) Plus usual Allowances as admissible to Central Government Employees. Academic Qualification: Aspirants should have MBBS with 01 Year experience. Candidates with one year experience will be considered for an additional increment at the time of recruitment subject to recommendation of the Selection Committee. Preference will be given to the candidates having institutional experience. Application Fee: Rs. 500/- to be paid in the form of Demand Draft (DD) drawn in favour of "PAY & ACCOUNTS OFFICER, NFC" payable at Hyderabad. SC/ST, Women Candidates, Ex-Servicemen and Physically challenged persons (PWD) are exempted from payment of Application Fee. Attested copy of certificate to this effect should be attached by SC/ ST/ Ex-Servicemen/ PWD while submitting the application. Selection Process: Candidates Selection will be based on their performance in Personal Interview round.. No TA/ DA will be given for attending interview. Attach your recent colour photo and documents in support of eligibility for applied post. Applicants must send form to the following location and cover of envelop must be super scribed as "APPLICATION FOR THE POST OF SCIENTIFIC OFFICER 'C' (MEDICAL - GENRAL DUTY)", POST CODE: 11701 against Advertisement".